Summer has come to an end and that means a lot of families are taking their annual fall break vacations or holiday vacations for the winter. We do one family trip in the spring and every summer we go to Ocean City, NJ. 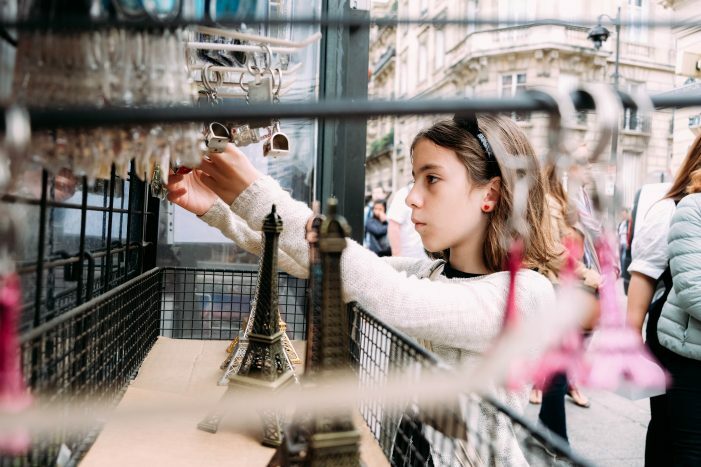 This year was an exception and we took the girls to Iceland and Paris in July instead. It was very crowded (think 1+ hour wait even with ‘fast track’ tickets) and made me remember the reason why we don’t travel in July (all those people!) but we did have a lovely time. I wanted to do something a bit different on this trip in terms of photos – I wanted to create images that captured stories, images that felt natural and fresh – even more so than images I usually create; I wanted to produce photos that were attention grabbing and different. I decided not to use my old trusted Canon (I LOVE that camera but it is so heavy to be lugging around all over the place) and instead brought my new favorite – Fujifilm Xt-2. I brought 3 lenses with me but ended up using the kit lens (18-55) most of the time. This in itself made me think a bit more creatively because usually I travel with at least two lenses and I was limited by what this lens allowed me to do. So how do you stay ‘fresh’ on vacation and make images that are still ‘you’ and capture your family, but that are different and creative? 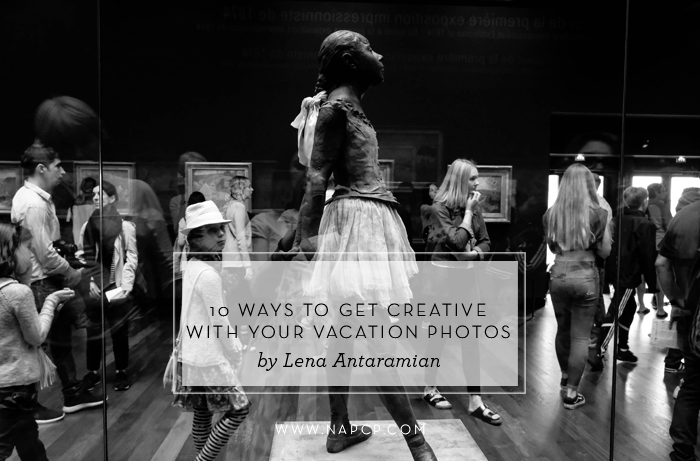 I looked through the images I took and put together a list – my Top Ten Tips on How to Produce Creative Images on Vacation. I illustrated it with pictures from our trip – because who would not want to see pictures of my adorable kids, right? Without further ado, I present to you (in no particular order) my Top Ten Tops for Staying Creative While on Vacation! Shutter drag is always fun to do! It might be a bit challenging doing it on vacation without a tripod but can definitely be managed – you either need to find a surface to hold your camera or take a deep breath and hold very very still. You also need to instruct your subjects to hold as still as they can. 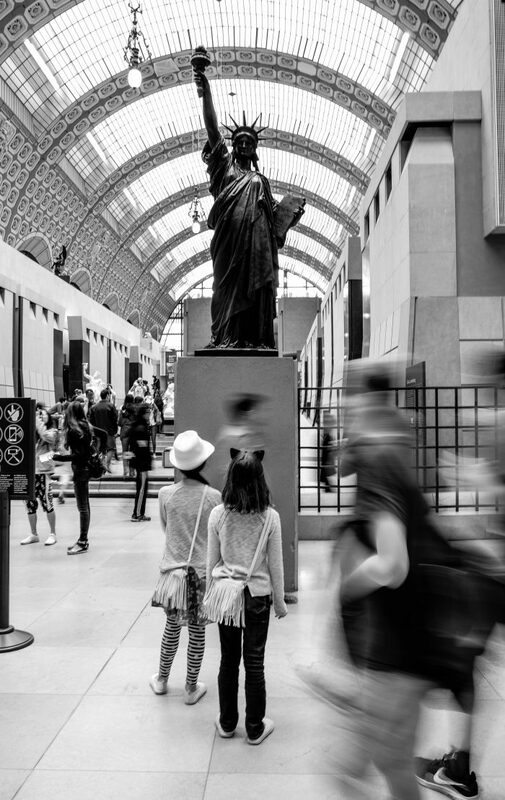 We were at the Musée d’Orsay in Paris (it is one of my top 3 favorite museums in the world – that’s why you will see a few more images from this museum here) and I wanted to capture the chaos and craziness of what it felt like being there at the height of tourist season in July. I asked my girls to ‘freeze’, closed down my aperture, set shutter speed to 1/2 of a second, steadied myself, took a deep breath (I’ve read that taking a deep breath before pressing your shutter helps to hold the camera steady) and took this image. Instead of taking pictures straight on or from above, try shooting from below. Here I got down on the ground (the white pants I was wearing that day were not happy about that!) 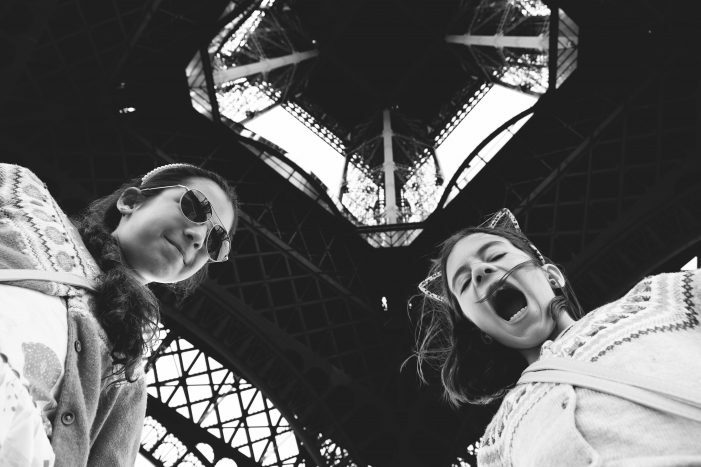 and took a picture of my girls being ‘a bit’ excited about going to the Eiffel Tower – with the tower in the background. I’ve always loved photographing through things – it is super easy to do, frames your subject nicely (and I LOVE framing my subjects) and makes your images more interesting. Try it! Can I say how much I love reflections? I think they always make images a tiny bit more interesting. Look for reflections wherever you are – be it a reflection in a mirror, window or a puddle! We were waiting in a cafe for the rain to pass and the girls were standing by a glass door. I asked one of my girls to stick her head out … she did and I captured this image. 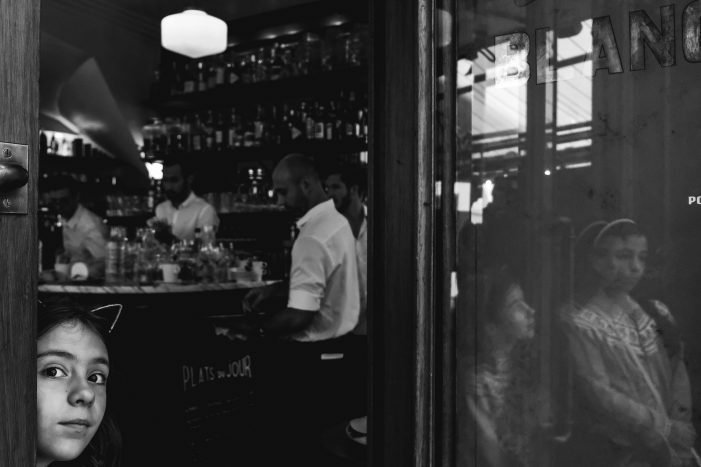 I love her expression, being able to see both of them in a reflection, and at the same time seeing busy waiters inside – I think it captures Paris cafe culture pretty well. Using leading lines is not terribly creative or inventive but you should try to look for leading lines in a new way. 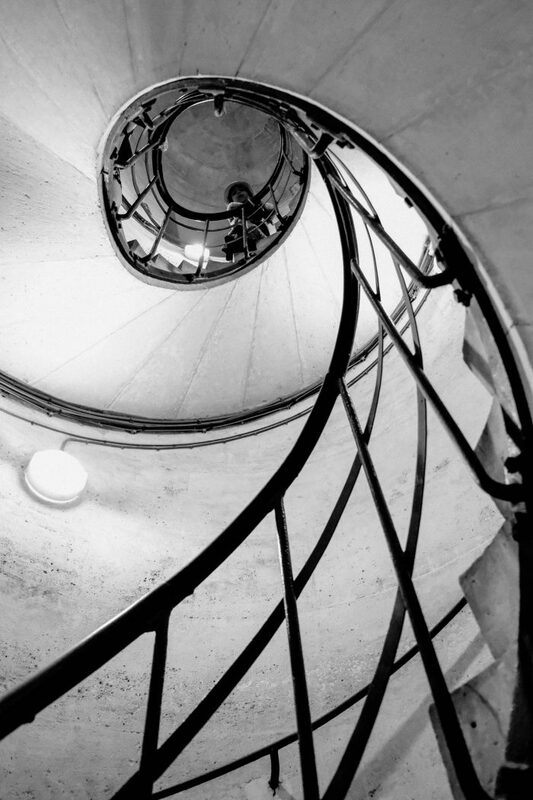 Here we were going up a spiral staircase to the top of Arch de Triumph; I waited till the staircase was relatively empty and asked one of my girls to peek at me from the top. Always always always be on the lookout for beautiful light. 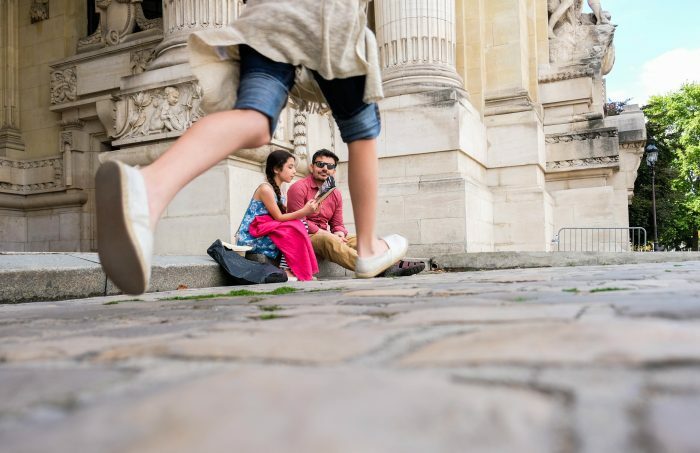 We were heading out of Sacré-Cœur, after a long day of sightseeing, and I put my camera down. Just then my husband turned around and pointed out this amazing stream of light coming through the window. 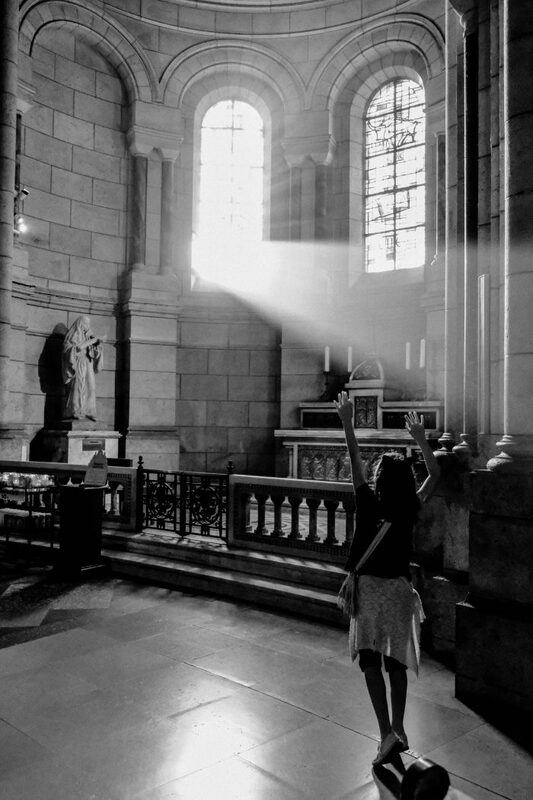 No matter how tired I was I could not go past it without taking a picture so I asked one of my girls to try to ‘catch’ that beam of light. Shooting through glass can provide very interesting images. 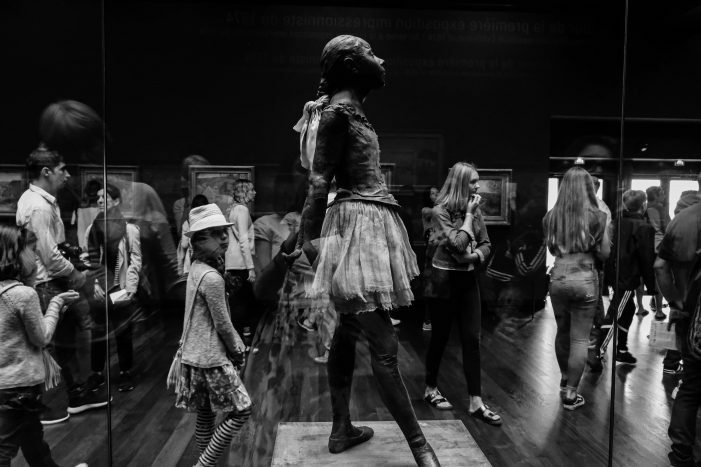 We were looking at the statue of ‘Small Dancer Aged 14’ at the Musée d’Orsay; this statue is enclosed in a glass case and I asked my girls to go on the side of the case opposite of me. I thought that seeing them through the glass with the statue in the foreground would create an interesting image. I love to frame my subjects in unusual ways. 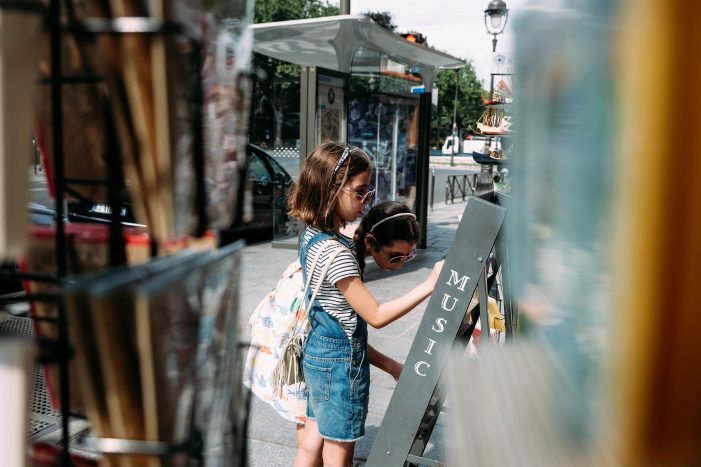 In this image, one of my girls was reading to my husband a few interesting facts about Paris, and my other girl (aka “Little Monkey”) was running around. I thought it would be fun to have her ‘frame’ them and the result of that is this image. Then again – I like any types of ‘frames’ and doorways always work very well! Do you know that you can create beautiful silhouette any time of the day – not just at sunrise and sunset? 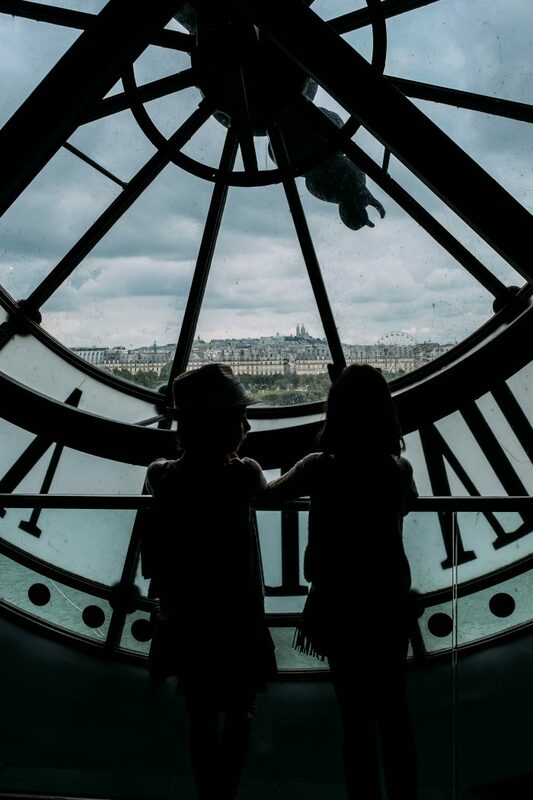 We were inside the Musée d’Orsay (in case you are wondering – we did other stuff than spend all our time at this museum) looking at Paris through this giant clock, and I asked my girls to stand by the clock. I thought it would be interesting to ‘frame’ the city by the clock and create silhouette of my girls against the background of the city. Sometimes you need to let go of perfection to be able to capture a perfect moment. This image is not technically perfect – the top of the horse is cut off and the other one is peaking through behind my daughter’s head. 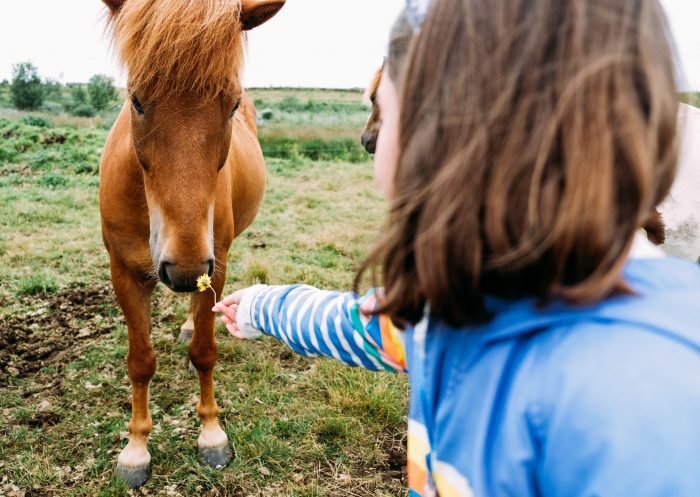 For me, it is imperfectly perfect because it captures this amazing moment of my daughter interacting with an Icelandic horse – messy hair and all!